Specialist family law firm Silk Family Law, has taken a 4,050 sq ft ground floor office suite at One Trinity Gardens, Quayside, Newcastle. The letting, on behalf of Standard Life Investments Pooled Pension Fund, means just one other ground floor suite of 1,500 sq ft remains to let in the six-storey, 153,000 sq ft landmark office building. Chris Pearson, partner, Gavin Black & Partners, joint letting agent with DTZ, says the remaining suite will let quickly further reducing the supply of Grade A office space available to let in Newcastle city centre. 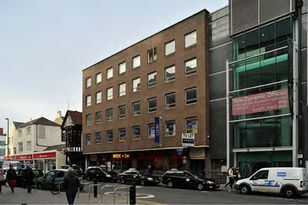 “This is an important letting for the building and further evidence that the market is improving. The last remaining suite must be one of the best available in the City Centre and Quayside and it is not surprising we have interest in the space”. Silk Family Law comprises the former Dickinson Dees family law team, with a reputation for handling complex and high value financial cases arising out of divorce and separation. The firm is led by barrister Ian Kennerley and Margaret Simpson, both former Dickinson Dees partners and Kim Fellowes, a former Dickinson Dees director. Commenting on the letting Kennerley says the location, being so close to the Law Courts, was one attraction as well as the quality of the office space.